The Beatles are leading a new British Invasion. In a list that is sure to ignite debates across dining room tables and dorm rooms across the country, Rolling Stone magazine ranked the best Beatles songs of all time. The winner? The psychidelic closer to the Sergeant Pepper's album, "A Day in the Life." Originally banned by the BBC for an on-the-sly drug reference, Rolling Stone placed it at the very top of the band from Liverpool's canon. Rolling Stone is set to release a special Beatles Top 100 Songs edition of the magazine, to coincide with the 40th anniversary of the band's final studio release, "Let it Be." In the introduction to the list, rock elder statesman Elvis Costello said, "Lennon, McCartney, and Harrison had stunningly high standards as writers." The No. 2 ranked song on the list is an early pop confection, "I Want to Hold Your Hand." No. 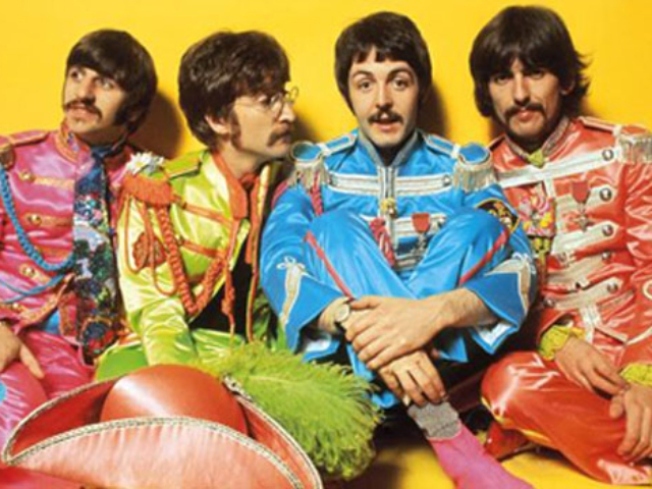 3 is "Strawberry Fields Forever," which was written at the same time as the Sergeant Pepper's tracks but eventually released on the album, "Magical Mystery Tour."